Are you looking for a houseplant to brighten up your home during the short, winter days? Many easy-to-care-for plants have richly colored foliage or vibrant flowers that will bring a cheerful touch into any room. Read on to find out some of the top performers you can try today. Most of the following houseplants are readily available at garden centers, florists or supermarkets, even during the winter months. African violets bloom freely throughout the year while staying neat and compact. They rarely need more than a 4-inch pot, which makes them perfect for small areas and window sills. You can also group them for additional interest. Each flush of blossoms lasts many weeks and they come in a wide variety of colors, including purple, pink, white, red, blue and multicolored. 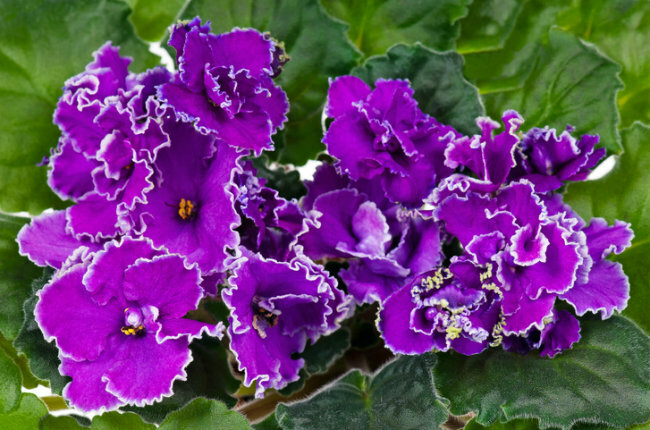 Tips for Care: African violets do best in a bright window without direct sun, which can burn their thick leaves. Allow the surface of the soil to dry out in between waterings and pinch off all the spent blossoms to encourage new buds to form. 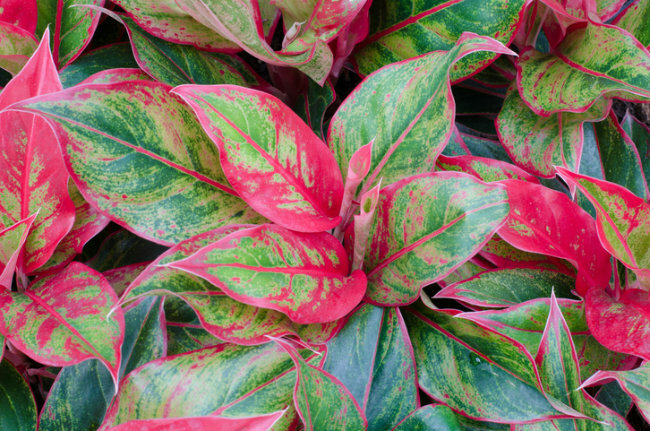 The multicolored foliage of a croton stands out in any room. Many different varieties of crotons are available, with most of them sporting bold shades of red, yellow, purple and orange, often all on one plant. 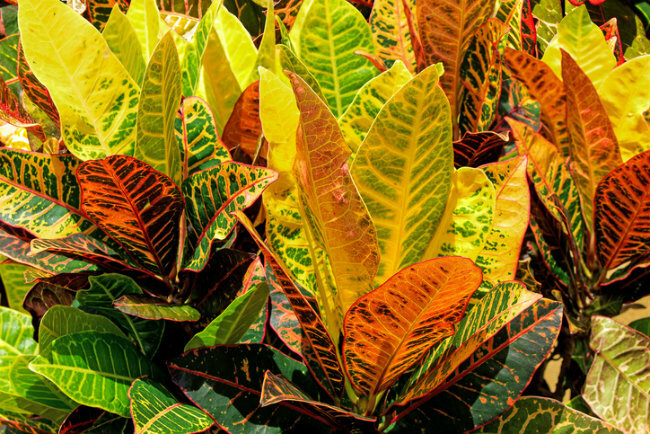 Tips for Care: Crotons keep their color best in bright light, but preferably not direct sun as it can burn their leaves. They are slow growing, so you don’t need to repot them very often and they only need fertilizing about every 6 months. 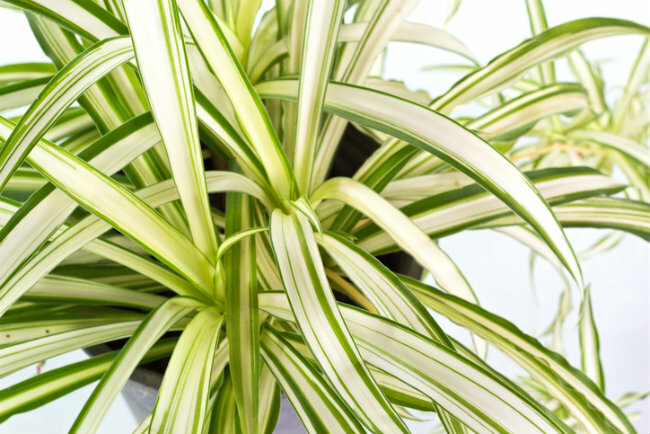 Spider plants have white variegated foliage that can brighten up a dark corner. They’re also great for cleaning the air. As they grow, they send out hanging branches that develop new plants on the tips like baby spiders dangling from a web. This makes them ideal for a hanging basket or a raised stand on the floor. Tips for Care: Spider plants are very adaptable. They prefer bright, indirect light and evenly moist soil, but these tough plants will forgive a lot of neglect. They’re excellent for those who are new to houseplants. These succulent plants often bloom around Christmas time. Some varieties will bloom again in the spring around Easter, and hence may be called Easter cacti. The flowers come in exceptionally vibrant shades of red, pink, white, purple, orange and mixed variegations. They are particularly tough, long-lived plants that will bloom year after year with some basic care. 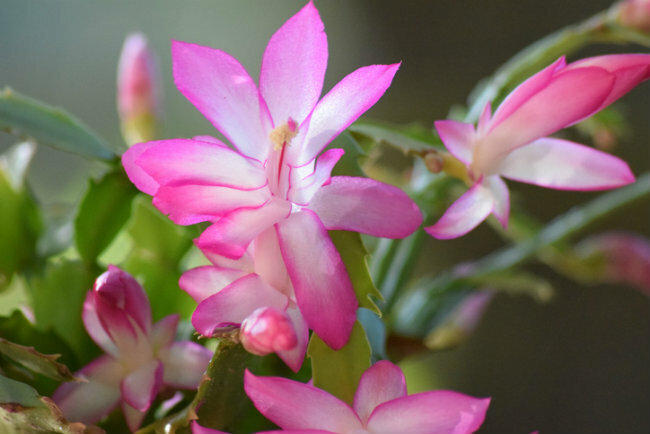 Tips for Care: Christmas cacti are technically tropical cacti, not desert cacti. This means they require different care. Christmas cacti will burn in direct sun, so keep them in a bright window with indirect light. They also need to be watered regularly, unlike their desert cousins. Amaryllis are bulbs that typically flower during early winter and make amazing specimen plants. They can take a little extra care to grow, but the blossoms are stunning and well worth the effort. 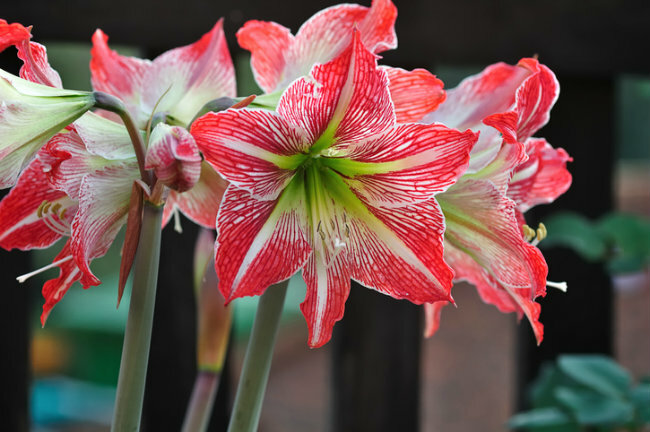 Tips for Care: You can often buy amaryllis kits from a store or online. The kit will come with detailed instructions, but you essentially plant the bulb in a pot and care for it as it grows and develops a flower stalk that will produce 2 to 4 blooms. You can keep the bulb to flower again next year. Gardening Know How has detailed instructions on what to do with your amaryllis bulb to get it to re-flower. The tree-like form of a corn plant with its widely arching leaves adds a unique texture to your home or office. Corn plants are available in a variety of sizes, from 2-foot high plants to 8-foot specimens. 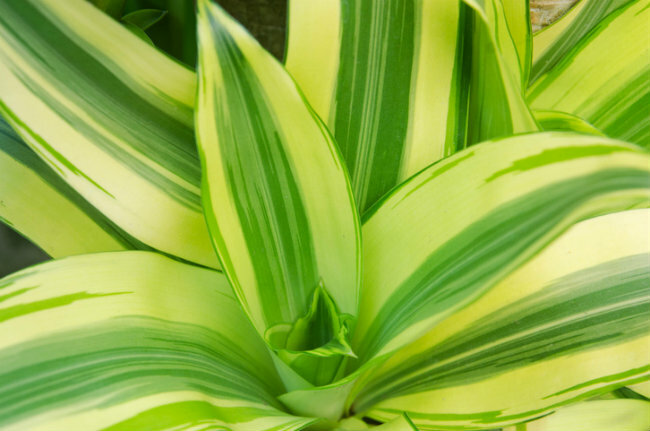 The striking yellow variegated leaves can reach up to 2 feet long. Tips for Care: Corn plants do well in medium, indirect light. Fertilize lightly about every 3 months and keep evenly moist. Misting your corn plant regularly or having a humidity tray nearby will help to prevent the tips from drying out. This is a succulent plant often bought purely for its bright flowers that come in a wide variety of primary colors. Kalanchoes are usually sold in small 4- and 6-inch pots, which makes them a great size to liven up any corner of your home throughout the winter months. 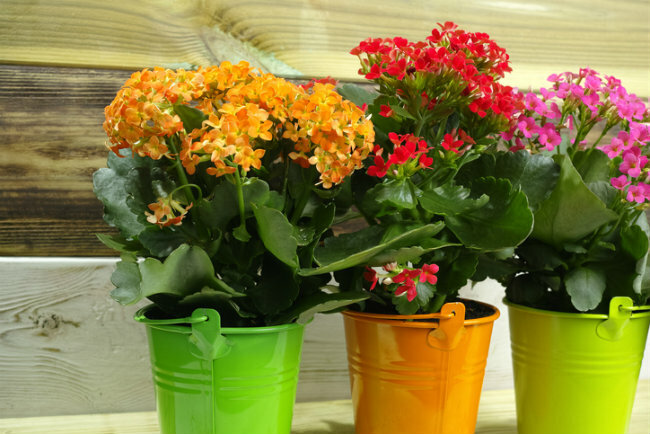 Tips for Care: Keep kalanchoes evenly moist to somewhat dry, and in medium light. Once your kalanchoe has finished blooming, you can keep it, but the plants often become very leggy and unsightly. It’s easiest to simply buy a new, fresh plant when you’d like another splash of color. 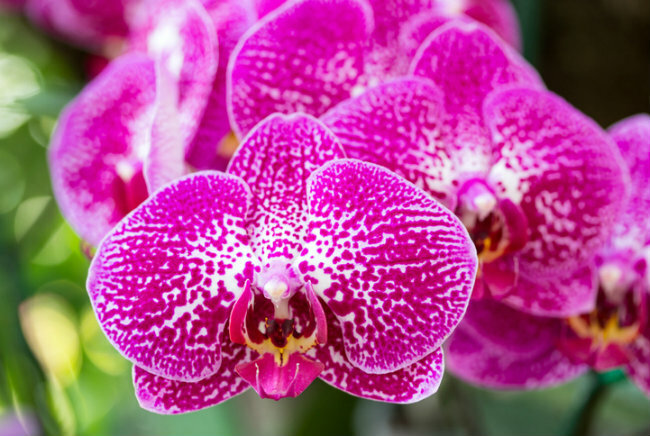 Thousands of orchid varieties exist, with care requirements ranging from beginner to expert. Thankfully, most commonly available types are easy to grow and have gorgeous blooms that often last from 6 to 10 weeks. It’s important to start with a healthy plant, so watch out for signs of disease, such as wilting leaves or flowers, dead roots or brown spots anywhere on the plant before buying it. Tips for Care: Orchids benefit from extra humidity through regular misting or humidity trays placed underneath your plants. The easiest way to water orchids is in the sink, due to their chunky bark potting mixes that do not absorb water quickly. Pour generous amounts of room-temperature water over them until the bark is moist, allowing extra to run out the bottom of the pot. Fertilize in a similar way with a liquid fertilizer during times of active leaf growth. Scientific Name: Various. Some popular, easier to care for varieties include Phalaenopsis (moth orchids), Cattleya and Dendrobium species. If you’re looking for a very low-maintenance houseplant that’s still a show-stopper, Chinese evergreen is a great choice. Their leaves have an array of variegations, from silver to pink to yellow, which will hold well even in lower light. 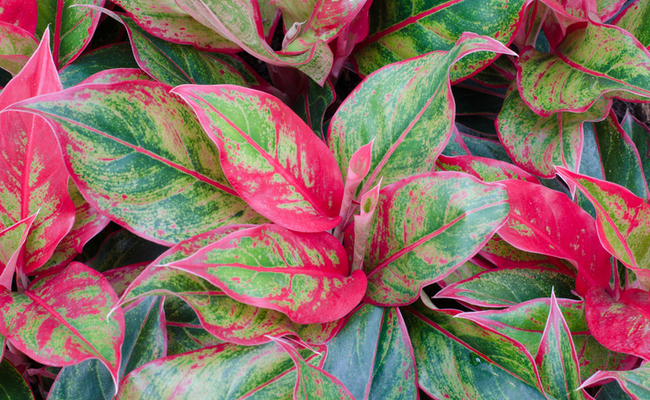 Tips for Care: Chinese evergreen is surprisingly tolerant of most conditions. It prefers to be kept evenly moist to dry. It’s fine in low light, although it will grow a bit faster in a brighter window. Washing the leaves with a cloth about every month will keep them glowing and maximize light reaching them if it’s growing in low light. Thanks, spider plants do well almost anywhere.